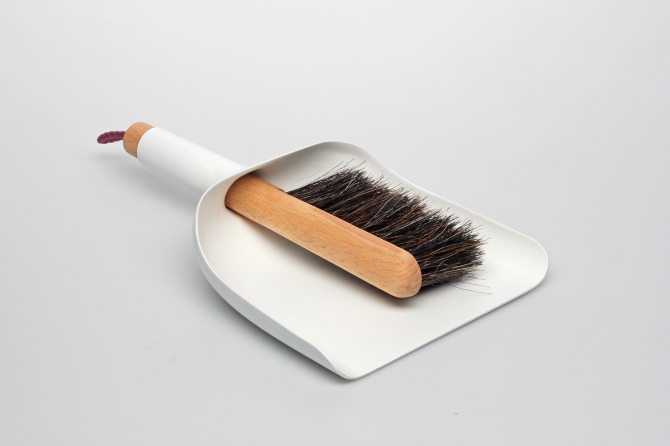 Most of dustpans sold are a design of low esthetic value. 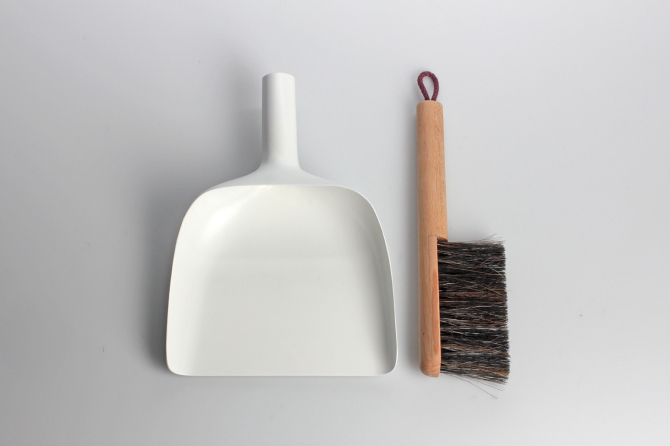 My intention was to design a simple, refined in form and functional solution – an object enjoyable to use. 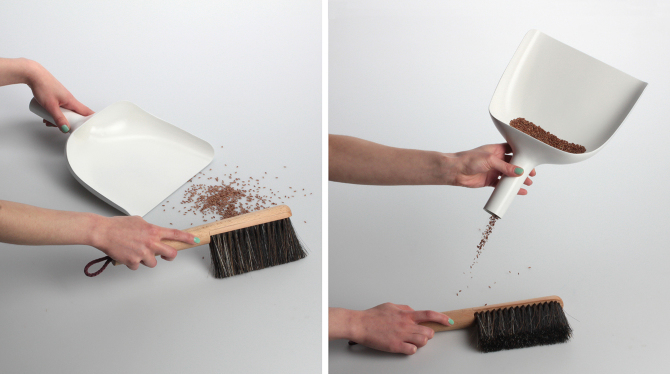 The key innovation is the use of the dustpan’s handle as a funnel. Thanks to that you won’t have problems in removing the dust even to a small bathroom dustbin. The set can be hanged in a cupboard or storeroom on the loop attached to the end of the sweeper. The sweeper is made of natural horsehair and beechwood, because natural hair sweeps better than its synthetic equivalent. The wooden handle covered with oil is nice to touch, well balanced and comfortable to hold. 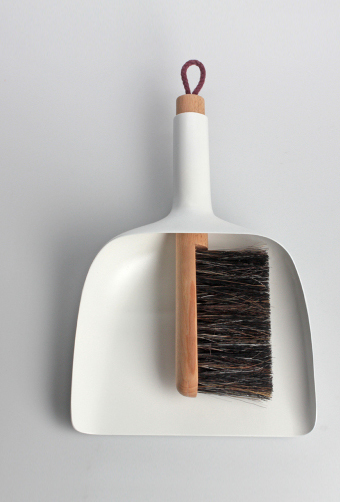 The project was made in collaboration with a Warsaw craftsman who has been producing brooms and brushed for many years. 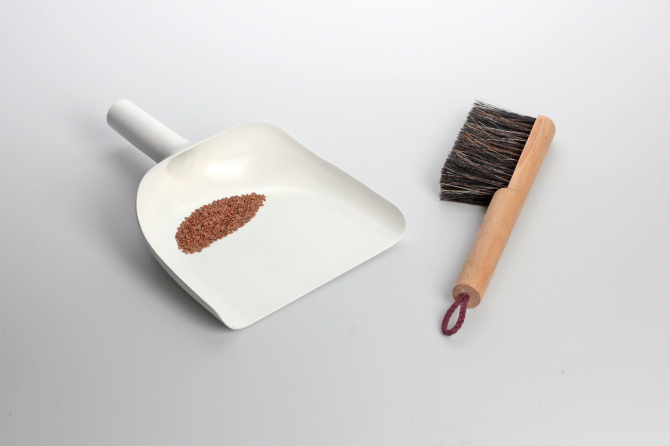 The design of the dustpan allows the technology of injection moulding to be applied. The plastic was used in order to obtain a streamlined shape which the waste can easily go through. 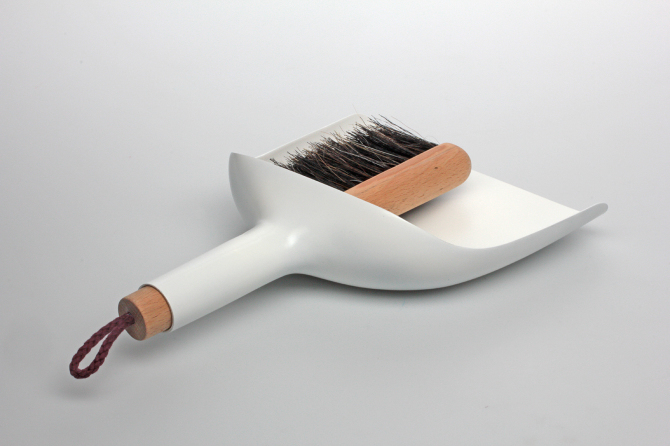 The project is a reflection on a dull object of everyday use. An object we often use but rarely pay attention to. 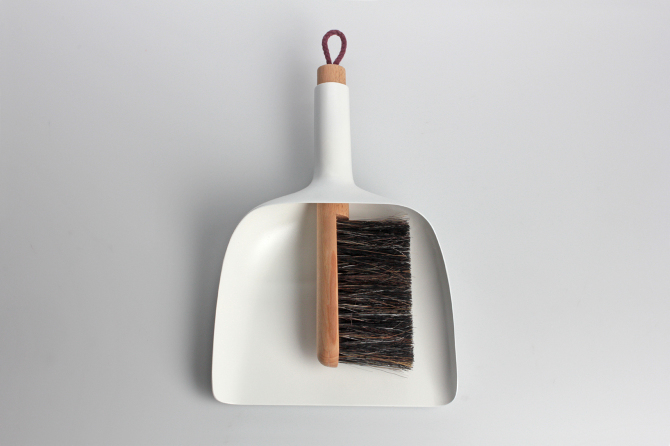 I wanted to create an object which, thanks to its esthetic and functional quality, would slightly enhance the quality of our lives and make everyday chores more pleasant.